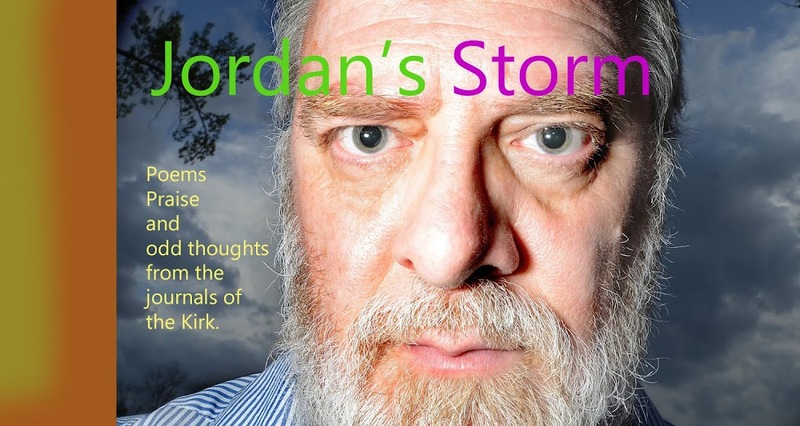 Jordan's Storm: Life in the Minus World. Life in the Minus World. Today the world is kicking color … batting it and slamming it like a moving Monet. The whole thing is surging and blinking. Big wet cumulous and wind. One minute under gray, the next under gilded wash and hot white of cloud fringe. Everywhere the color flies … lavender and lilac, wet-water blue and robin’s egg, daffodil and dandelion, Forsythia and … Oh what do you call it? …. Those first purpled flowers of announce. The world is in the first trimester of spring, past the mud chill and first-green and today with the fresh loud of Red Bud. How they ever thought to call this thing a red bud is beyond me. I have seen a few lean Concord grape but the norm is pure pastel purple … Lilac. And now …A new thought. If the moon shows us the light raging in the dark, does the Redbud show us color hidden in the light? I think of these branches just a week ago. Silver-brown with little points of caged bud. And now the flowers pressed out like Playdough through the branches. Plado-machine branches! But I think of this, before the bloom. Sunlight passed over these branches and the color lilac – or whatever – was somehow hidden in that light. But it flowed by “unused”. And now, a brilliant honey light flows across the branches and breaks out in lavender spill. This is weird. The tree now blowing into the wind leaps into the light and fetches out the lavender. Or something like that. If I understand color theory, white light --the light of sun -- is comprised of all the colors in the spectrum. Or better yet a rainbow. And those same tones in turn, in combination with each other or more white or dark, give us all the colors that we see. Now, I don’t know if the white light of sun is like a single wave with all the other wave lengths of light caged inside, or if the different colors and waves all ride together like a bundle of sticks. I suspect the former. So, when I see this tree, waving in the wind, and I see each bloom leaping into the light and showing lilac… I am seeing some color that is somehow in the light, sandwiched in the white. Again, if I get it right, for something to look purple, that thing must absorb the opposite of purple, which is something like orange or gold... And so the blooms drink beer and bat out lilac. Each waving bloom is like a fine meshed net, holding out the purple somehow hidden in the light. And this is strange. While I think of color as grand addition to the world, it is really a subtraction. If the flowers or the branch or the sky or the street or the ground were to reflect the full spectrum of light found in the light, they should all look white. A ground covered with snow is a ground that has showed us what the light is. It is every color minus none. A full spectrum thrown at our eye. Today I ride my bike in the minus world. Every color, every tone, is minus something of what it could be. That’s because the colors are drinking. That because the colors are colors … and not white. And this is odd. This multi-hued world, seems more that the "All" world to me. I am, right now, sitting on the back porch underneath our towering oak, eating macaroni shell noodles with butter and A-1 Sauce. The sauce is drinking in light, but also the shells. They look almost white. But hold them against real white and we see them like yellow teeth in a clown's mouth. So now - I hold them toward my face -- if nothing was held back -- if the shells did not drink in and mute the light -- they would be like mirrors on my fork. My macaroni would blind me. And then … I couldn’t see my hands. The world would be brighter than leprosy. Brighter than snow under sun. No room for shadow. Nor room for form…and the stuff about me would disappear into a blinding angel hue...white. So, how’s this for thought. Rembrandt never added color to a canvas. Rather he removed it. With each stoke, he deleted some portion of the spectrum. He is like the sculpture working in reverse. If Michelangelo cuts away all the rock that doesn’t look like a David, then Remnant blots away all the white-bright light that doesn’t look like a Dutch master. Throw a red Frisbee® through the air. Consider what it means that the disk appears to be continually red throughout its journey. Think of the Frisbee® as a whirling color revelalator that continually manifests the red hidden in the air between you and your target. Tell your friend that you will prove that there is a lot of red in the air. Throw the Frisbee®. Manifest pink (or brown or black or tan) by waving your hands in the air. Show everybody all the flesh colored light zooming all around them. Run into the flesh colored light. Take an apple into total dark. Consider its color.